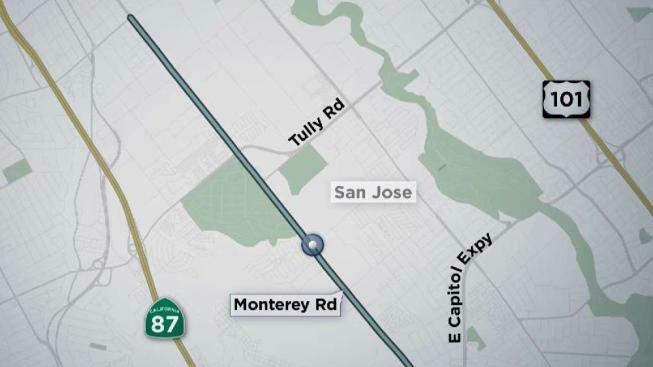 The San Jose Police Department is investigating a fatal stabbing that occurred in the 2700 block of Monterey Rd Saturday afternoon. Officers responded to reports of a stabbing around 6:30 p.m. and upon arrival, they located a man suffering from at least one stab wound. The victim, who has not been identified, was transported to the hospital where he later died, police said. A man has been detained in connection to the stabbing but a motive is unknown. This marks the sixth homicide of the year in the city of San Jose. Anyone with information is asked to contact Detective Sergeant Jesus Mendoza or Detective Todd Jennings of the San Jose Police Department's Homicide Unit at 408-277-5283.